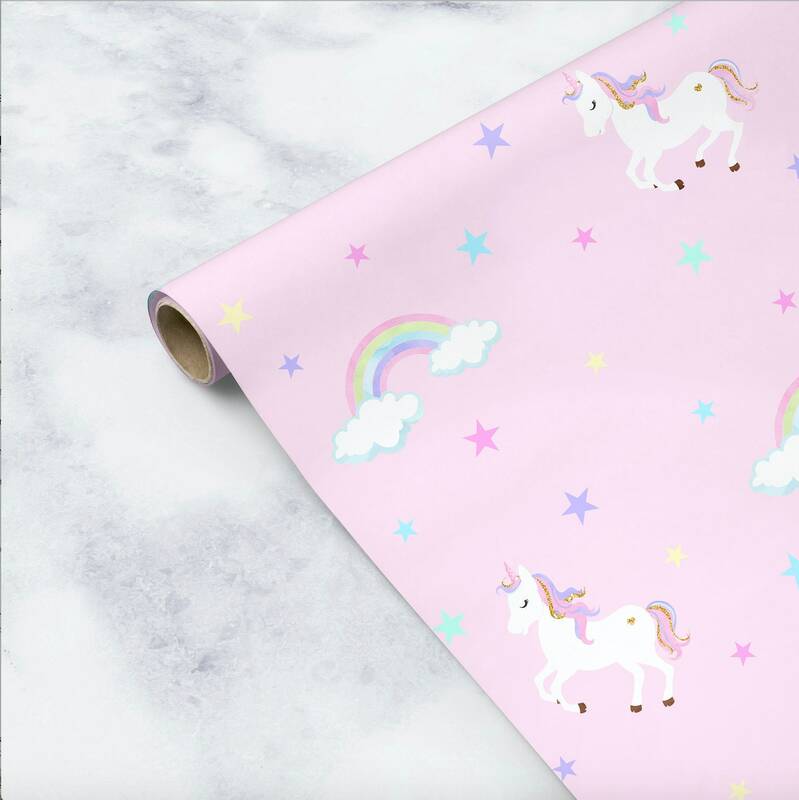 How magical is this adorable pink unicorn with rainbows and stars wrapping paper, perfect for her unicorn birthday theme paper! You can also use it to wrap party favors for her guests. Your choice of 1 or 3 sheets. 🦄 Each sheet measures 19.75” wide x 24” long (width includes a 1/2” white border). 🦄 One sheet can wrap 1 medium size gift AND 1-2 small gifts (approximately, see photo #5). 🦄 Wrapping paper is printed on 60 lb gloss paper. 🦄 Back of sheets have grid lines for easy line-up and cutting. 🦄 See last photo in listing for examples of what can be wrapped using 1-sheet. 🦄 Please note this pink prints as a lighter pastel pink, which is lighter than digital mock-ups. See wrapped gift item photos for best examples of color. #1. Purchase the "3 sheet" option, and tell us in “note to seller” not to cut it in separate sheets, and you'll receive it in one sheet that measures 19.75"w x 72”l. #2. For lengths longer than 72", contact us directly for a custom order. 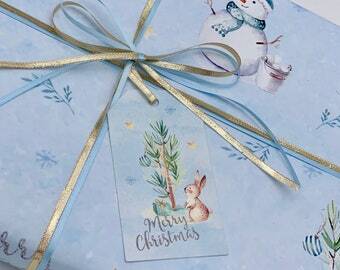 Gift wrap is packaged in a cello bag for scratch protection and each sheet is folded to help lower shipping costs. 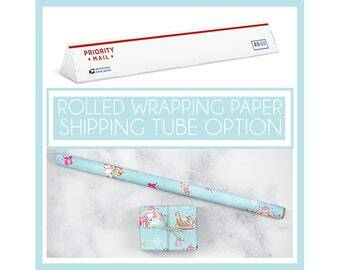 If you would like to avoid paper creases, we suggest purchasing the rolled shipping option below. *If you are purchasing multiple sheets, this add-on covers postage for up to 12 sheets. 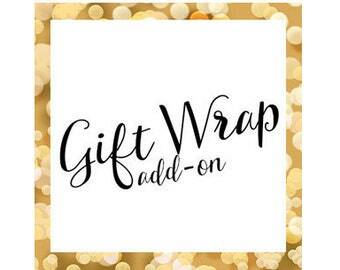 If you have any questions regarding this gift wrap, please use the “Ask a Question” button next to the price and we’ll get right back to you!